I must confess I suffer from a massive Diogenes syndrome when it comes to fashion. I keep everything. I was taught since I was a little child to take care of everything I got my hands on, so it's not rare to still find on my closet pieces from my teenagehood that have been kept on almost their original condition, fairly new. So, when it comes to organisation everything is a bit tricky. Not only I've been accumulating tons and tons of clothes during years, but also since I renewed 100% my room furnishing 2 years ago I've become more conscious not only on how much clothes I own, but also how many of those pieces I really wear on a daily basis, and most important: how I store them. 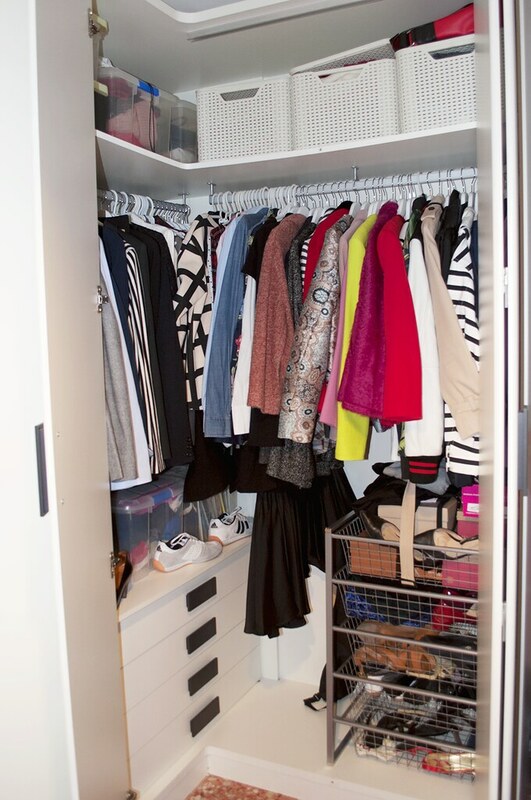 Doing a closet rehab may be the best way to get into the budget fashionista path. 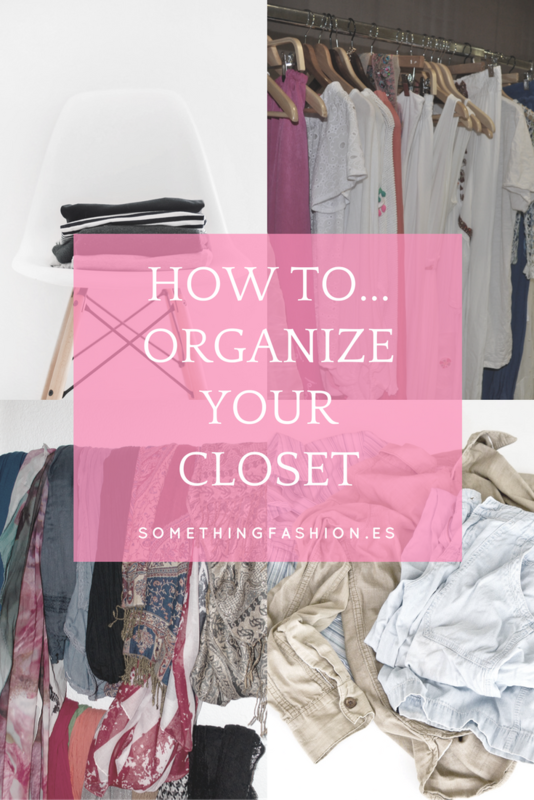 That's why on this post, I want to show you some tips on how to start organizing your closet (bigger or smaller, walk-in or cupboard), finding space on places where it seems impossible to, and also some personal advice on how I keep my clothes stored. They've been in vogue lately, but I'm not a big fan of those open "closet" spaces made out of a pair of shelves and clothing racks (as the first image above on this post). Dust is a real problem, specially when you'll find your coat covered with a thin white-grey layer when you're about to wear it. If you're lucky enough to own a walk-in closet, I suggest you to keep it door-closed and open it only those times you are going to get something from there. Problem added when your clothes are out of a safe, closed space. Bugs are a very serious thing which can harm and destroy your clothes, specially vintage and wool ones! Even if you keep your clothes inside a wardrobe, put some repellents. There're a large variety of both natural, non-chemical insect repellents for clothes. Seen those little green boxes on the sides of my cabinets? Those are the ones I use. 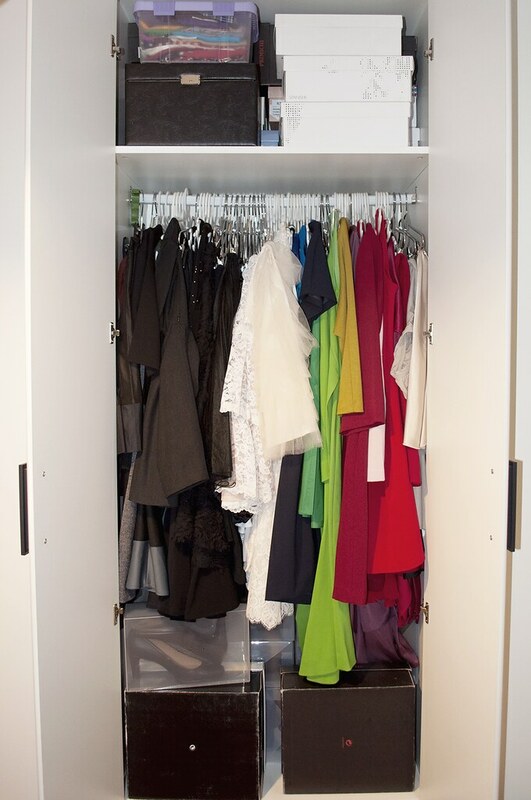 To keep a nice and neat super organized closet, you must know lack of space for your clothes is not usually due to the volume of the closet per se, but usually due to all kinds of hangers which not only give the image of a poorly ordered space, but also do take off tons of space. Invest in nice quality, thinnest and strongest possible hangers. I have three different types of hangers on my closet, keeping the ones of the same type as close as possible (as it is divided on different cabinets): wood ones (for blazers and jackets. Mostly items that do require a bit more of support), white plastic ones (I almost buy them in bulk) for lighter jackets and dresses, and those metallic with two pegs for skirts and folded dresses. 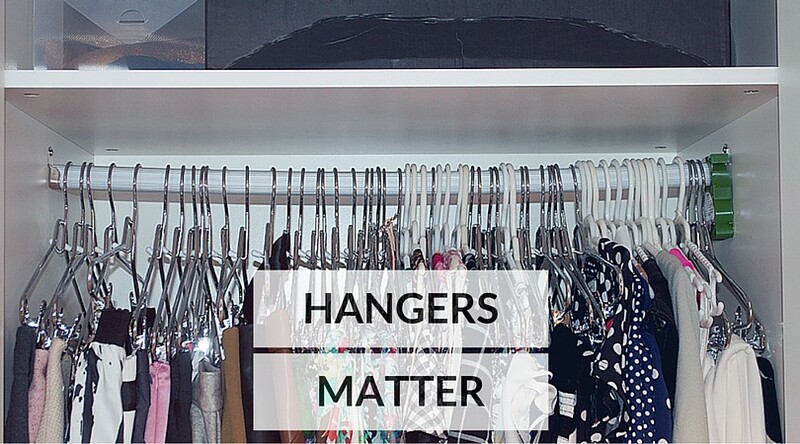 There's also the possibility to installs pull-down hangers, to double the space of your closet. I keep my clothes organised on a very rare and complicated system which consists on, not only organising by type of item (blazers with blazers and jackets, close to the blazers) but inside every category, by color/pattern and season. It's tricky, and sometimes a bit random (there are some pieces suitable for both winter/summer, some pieces of clothing that do not correspond with their next...) but it's the one that works for me best. I would suggest you to divide your closet spaces into "big categories" (blazers, jeans, T-shirts, accessories, etc) and then sub-divide those by color, or style, or season to store your clothes satisfactorily. #5 Who said "lost spaces"? If you live in a, let's say compact space where you do not only have to get dressed every morning, but also work and sleep, you better not lose any extra, tiny space around. Those under the bed are the best for keeping duvets and bed clothes, shoes or even bags! 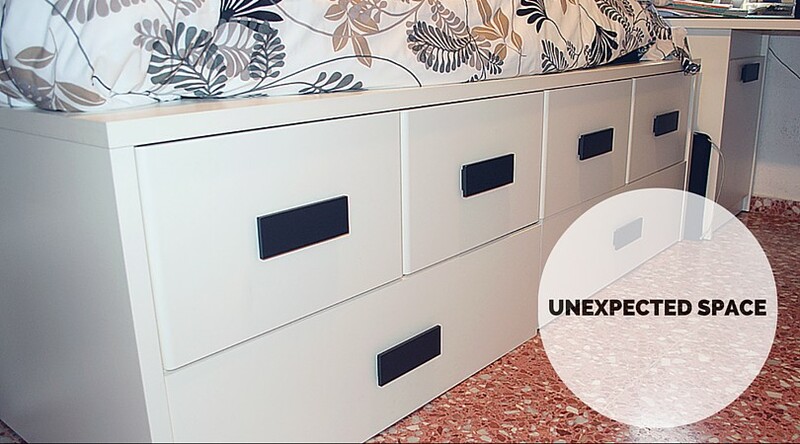 I used to keep under my bed up to three or four wheeled plastic boxes, but as I refurbished all the bedroom from scratch, I thought of that space since the very beginning to not ending as a dust nest between my wheeled boxes. So, my bed is actually on top of two rows of giant drawers where I keep my T-shirts, jeans, tops and shorts among bedclothes and pajamas. A bed bunker is a nice idea too. Have you ever felt that you have nothing to wear because you absolutely lost conscious on where it's placed? It happened with my shoes some time ago, but that feeling ended when I invested on those see-through shoe boxes which are close to be divine creation. Now I don't struggle on which shoes I'll wear because I can see them just taking a quick look. 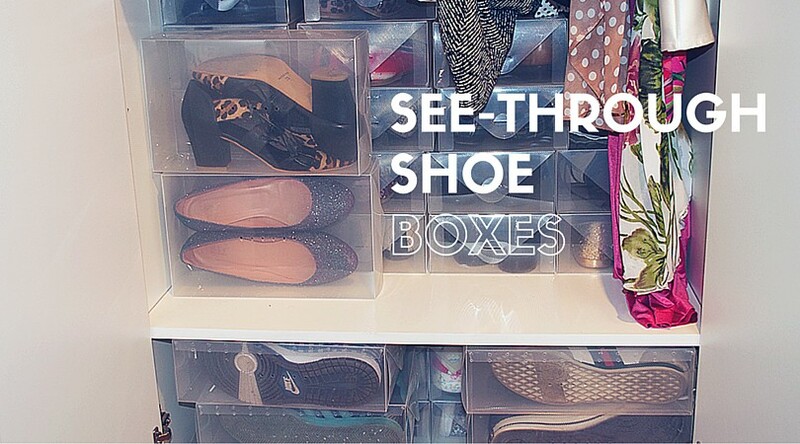 There are also different sizes of transparent shoe-boxes, so high-boots or trainers, not a problem! DIY and savvy version? Polaroids of the pair of shoes every box contains attached to them on the front. Coming back to the "lost spaces" point, I read about this solution when I was about to renew the furniture of my bedroom, and first my parents said I was totally nuts. After some tug-of-war with them, I finally convinced them to put two curtain rods behind my door so I could take some use of that space for hanging my scarves and shawls. You can put as many as you want to, they're pretty cheap at your DIY store and there're plenty of colors and styles. I just put two because I don't live on a building with very high ceilings, but is up to you! Plastic or methacrylate boxes and drawers are perfect to put small pieces like jewelry and accessories on their place! 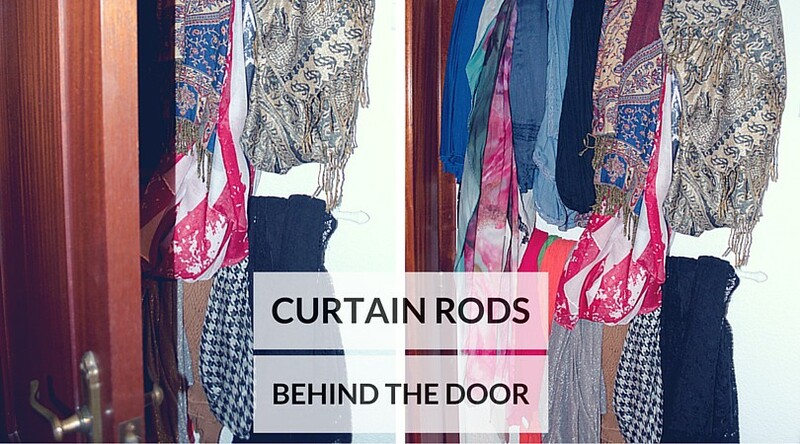 Once put the biggest items in place, divide all those smaller areas remaining in your closet with different drawers and hookers on the inner part of your closet doors. Hi! 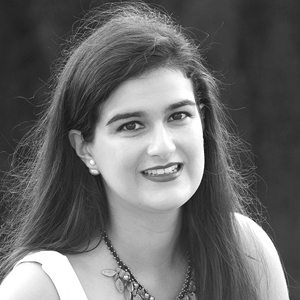 I'm Amanda, from Valencia (Spain). I like all things vintage and classy. I study Architecture and I'm an epée fencer. Something Fashion is my place to share, to inspire and to be inspired. Want to know more about this project? Click here. I like all things vintage and classy. I study Architecture and I'm an epée fencer. Am I dumb for running a fashion blog?